Settling into a rental home can be a challenge, because we're hesitant to buys things to fill the space that may not be used in our future "forever home" or used at all if the purpose of the room changes. (Ahem... nursery.) We also try to limit the amount of holes we put in the walls, but at the end of the day, we still want to make it our home. 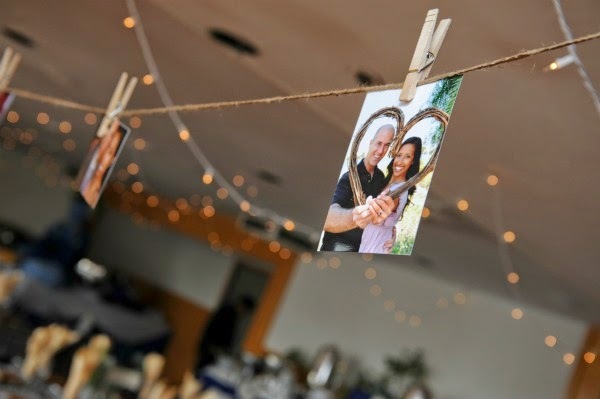 I've been trying to figure out what to do with our beautiful holiday cards from loved ones since January, and then last month, I remembered our photo clothesline from our wedding! A few yards of twine, 18 photo holiday cards, 18 clothes pins, and three straight pins was all it took. The photo clothesline really warms up the room and brings our life to the space. Before we had three visitors in the last three weeks, the guest room was just an "office with a bed." Now even when no one is staying in the guest room, we still have people we love in it. (Cheese alert!) I'm still searching through our stuff for the heart-shaped grapevine wreath in photo #2 to place under the clothesline. Eventually I'll change out the photo cards for other decor, but this makes me happy right now. Do you decorate differently when you rent vs. own? 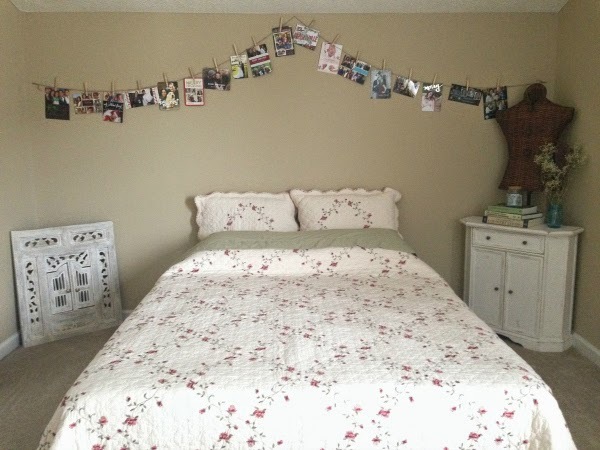 Love this Idea, would have loved to do this in my dorm room in college! I definitely found creative ways to decorate my dorm, I used a ton of masking tape!